On 22nd and 23rd June 2017, a decisive milestone was achieved for the ISO/IEC 15118 standard interoperability. The VEDECOM Institute hosted this year the 6th ISO/IEC 15118 Testing Symposium on its Versailles Satory site. This international event, previously hosted in Chicago, Tokyo, Dortmund, San Diego and Jeju-do once again gathered electric mobility stakeholder to test, in operational conditions, the ISO/IEC 15118 communication between electric vehicles (EV) and charging stations. This technology is key for EVs smart and fast charging and for the future integration of EVs in Smart Grids. Its interoperability is essential for user acceptance and economies of scale. The ISO/IEC 15118 Testing Symposium addresses this challenge by confronting available implementations of this standard to improve their interoperability. 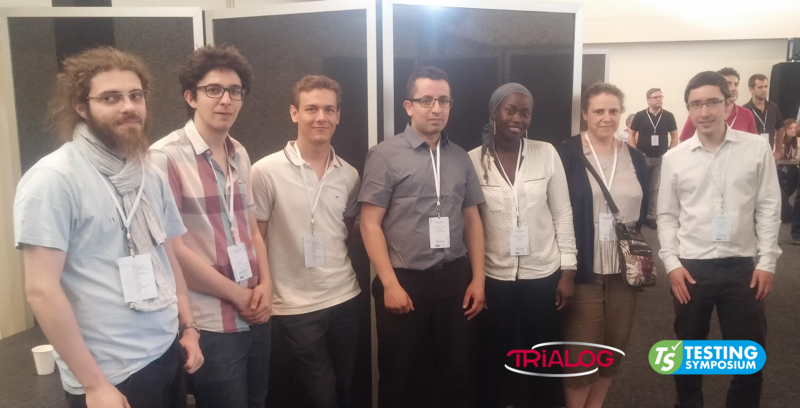 Trialog was pleased to participate actively to this event and thanks the VEDECOM Institute and TUD teams for their organisation, the attending Trialog team as well as all the participants.